Dimensions: 8 1/2" x 11 5/8"
Glass & Screen Work Order specially designed for new fabrication. Form is consecutively numbered in three positions when we are printing your personalization. You can specify a starting number of we will start numbering at 01001 and we will continue numbering on reorders. Price shown is your NET price and includes your store personalization. Dimensions: 5 2/3" x 9 7/8"
Form is specifically designed for Screen & Window Repair. Stub #1 is your Reference ID Tag. This ID tag gets attached to the repaired items. Oversized numbering identifies and organizes your orders. 2 ways to apply top stub (Reference ID Tag) to item being repaired - Use punch hole at left end to stub and using a Twist Tie, attach to item being repaired, or apply (separate) Display Label as shown on back side of top stub. 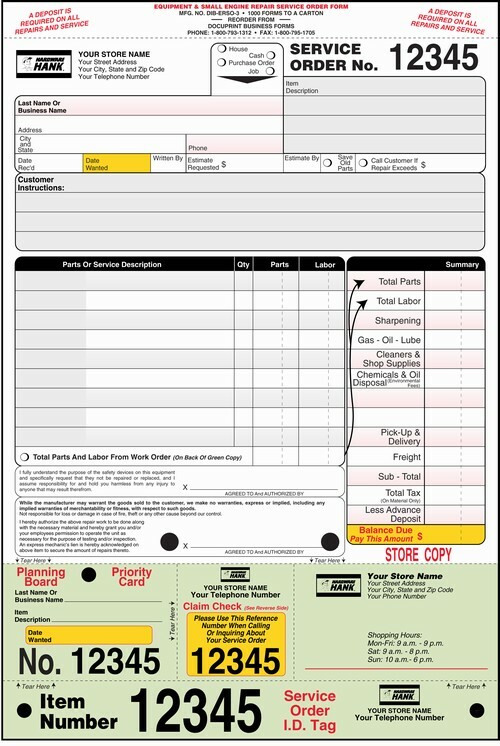 Order Includes 500 Display Label per 1,000 forms ordered. Additional Display Labels must be ordered separately. Display Labels have a strong holding adhesive that can be removed and/or repositioned to almost any surface and removed cleanly leaving no residue. 500 labels per box. Personalized labels in strips of eight and shrinkwrapped. 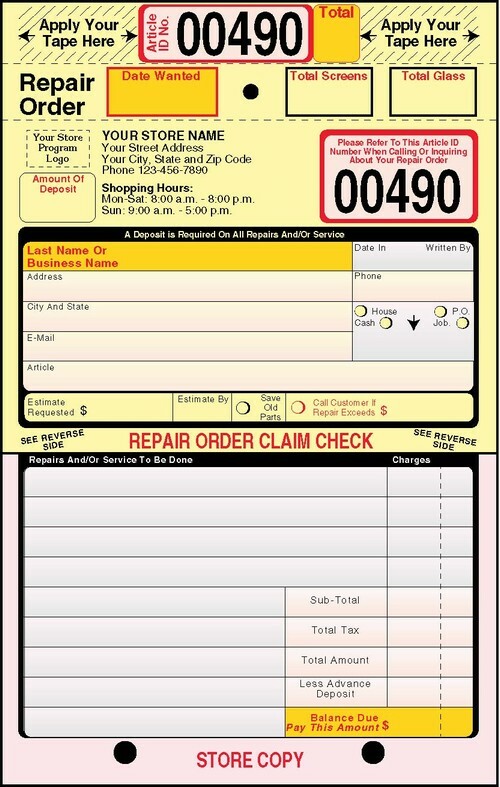 Secondary Labels are used on Screen & Window Repair orders with multiple article repairs. The reference number needs to be hand written in on secondary labels. Reference number then ties multiple pieces together. These labels are 2 1/2" x 5/16" and have repositionable adhesive. Personalized Secondary Labels are packaged 1,024 to a package and are sold separately for $88.00 per lot. For sturdy protection of your paperwork, you can use the specially sized (reusable) Transparent Double Pocket Envelope (Mfg. No. HDWE 2) that are specially sized for this Screen & Window Repair Form, and wire this to the damaged screens and/or glass after repair, then apply the master and secondary labels (transparent envelopes, wire and secondary labels are sold separately). 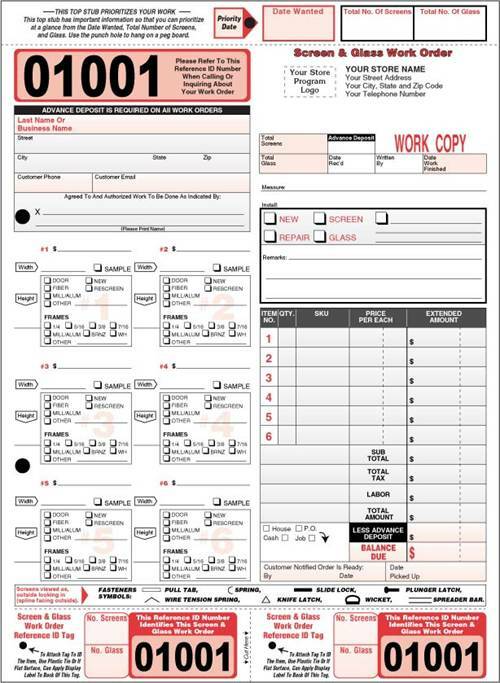 Equipment & Small Engine service order Form with I.D. tag, priority card, claim check and store card at the bottom of ply 3. 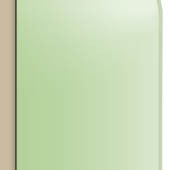 Ply 3 is a green tag stock work order with room on the reverse side for service department entries. Plies 1 & 2 are 8 1/2" x 9 5/8" and ply 3 is 8 1/2" x 12 5/8". Forms are pre-numbered during production so you need not specify numbering. You will receive the next sequential numbering in stock. Price shown is your NET prices and includes your store personalization. Bundles of Wire At $25.00 Per Bundle. 12" loose wires in bundles of 1,000. 26-Gauge wire. Reinforced fiber patch punch hole in stub. Wire is bundled loose and is sold separately (see our hanging aids). Ply 3 is tag stock with back printing. 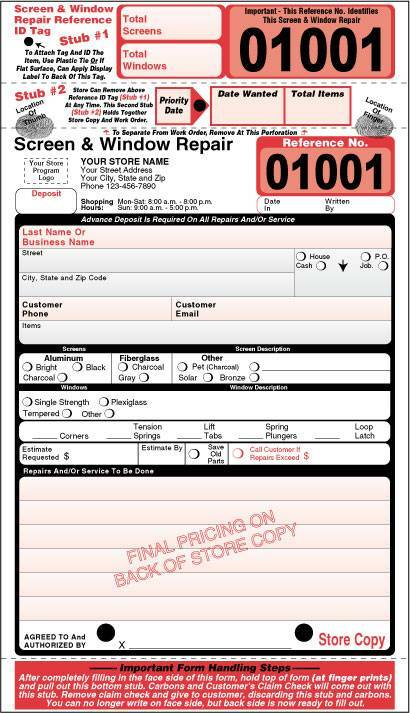 Forms are pre-numbered during production. You will receive the next sequential numbering in stock. Ply 1 (claim check) has your store personalization and is give to customers at the time the article(s) to be repaired is dropped off. Ply 2 (store copy) is customer's paid receipt or could be used as permanent store copy, accounting, auditing, department copy, etc. 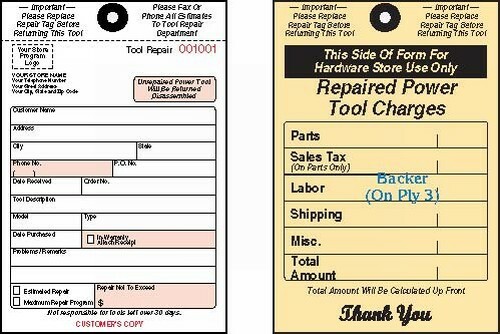 Ply 3 (repair work order copy) goes with article(s) to your service department. This copy has all the information and instructions to be followed for repair, and to record on reverse side all work performed and costs. Keep as permanent record for later reference. Forms are prenumbered during production so you need not specify numbering. You will receive the next sequential numbering in stock.